The Annual Alumni Awards were introduced in 2013 to honour and recognise the outstanding achievements by Sancta alumni across a wide range of professional, social and personal endeavours. The Awards for 2014 were announced at the annual dinner in July. Professor Lynne Bilston lived at Sancta Sophia College for 2 years in 1986 and 1987 while studying engineering at the University of Sydney. She then completed a masters and PhD in Bioengineering at the University of Pennsylvania, with the support of a Fulbright scholarship. After returning to Australia, she was an academic at the University of Sydney, and in 2002 moved to a research position at the Prince of Wales Medical Research Institute, now called Neuroscience Research Australia. She undertakes biomechanics research aimed at understanding how the human body responds to mechanical loading, and has applied this knowledge across a broad range of areas ranging from preventing injuries to children in car crashes to developing new medical imaging techniques to detect the changes that injury and disease cause in the body. 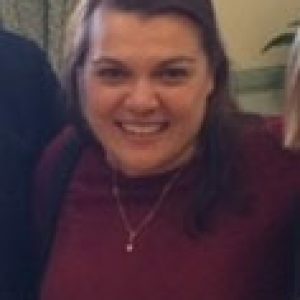 Annabelle studied Arts/Law at Sydney University from 2004 when she first attended Sancta Sophia. Annabelle is a Founder of School for Life Foundation Limited (SFLF), a non-profit organisation focused on making a transformational difference to the communities of emerging countries starting with Uganda through providing access to a quality education. They build educated, sustainable, productive and profitable communities starting in Katuuso which focuses on children and adults who have been denied an education. Annabelle has led a team of 60 volunteers over the past 5 years to organise 5 successful Black Tie Fundraising Balls, hosting over 650 guests and raising more than $150,000 at each event. In 2012, Annabelle was listed in the Australian Financial Review & Westpac’s Top 100 Women of Influence 2012 and voted Cosmopolitan Magazine’s 2012 Role Model of the Year. Annabelle is a finalist in 2 categories of the NSW Telstra Businesswomen’s Awards 2013 for Business Innovation and Young Businesswoman. She is also a Paul Harris Fellow and this year will represent Australia as a delegate in the G20 Young Entrepreneurs’ Alliance in Sydney. Australian director Lee Lewis has directed plays for Melbourne Theatre Company (RUPERT in Melbourne and Washington DC) Bell Shakespeare (Twelfth Night and The School for Wives), Sydney Theatre Company (Honour, ZEBRA!, and Love Lies Bleeding), Belvoir (This Heaven, and That Face), and Griffin Theatre Company (A Hoax, Silent Disco, The Call, and The Nightwatchman). 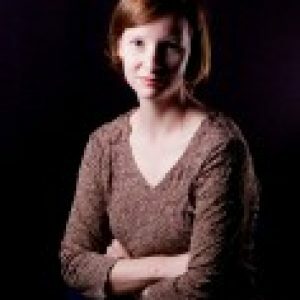 Her recent work includes The Bull the Moon and the Coronet of Stars for Griffin, and Highway of Lost Hearts for Darwin Festival. She holds an MFA from Columbia University and an MFA from NIDA. Currency House published her bookCross-Racial Casting: Changing the Face of Australian Theatre as part of their Platform Paper series. 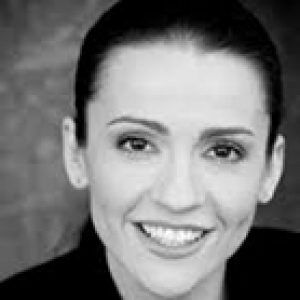 She is the Artistic Director of Griffin Theatre Company, Australia’s new writing theatre. Dr Karen McKay is a staff member of the Department of Respiratory Medicine at The Children’s Hospital at Westmead and is also a member of The Children’s Hospital at Westmead Clinical School at The University of Sydney. Her association with the University of Sydney extends “for more years than a lady is wont to admit, commencing when she walked, sans wisdom, into the front entrance of Sancta Sophia College and took up residence in Room 16, First Floor West. The time she spent at Sancta influenced her life personally and professionally. Having shared some of her years at Sancta with her dear sister Lisa is perhaps the greatest legacy, and gives her great joy. Professionally, her closest colleague is an old Pauline (who just happens to be the brother of one of her Sancta contemporaries), another close colleague is an ex-House President of Johns, and, personally, her decades-long friendship with Therese Grotowski dates from her years at Sancta. Who would have thought that the decision to do some ‘volunteer work’ at the old Children’s Hospital at Camperdown as a sophomore (it was close, and sounded easier and more fun than some of the other community service suggested by the then Principal to the entire college after an event that went ‘a little too far’) would have instilled in her a passion for Paediatrics which informed her future professional life? These days, she is particularly passionate about Cystic Fibrosis, and has been so since she began her working life at the old Children’s Hospital in Camperdown, through her years at St Paul’s Hospital in Vancouver, and since returning to The Children’s Hospital in its new location at Westmead. Karen has the privilege of delivering clinical care, education and conducting clinical research in children with Cystic Fibrosis and continues to be inspired and motivated by them and their families on a daily basis.